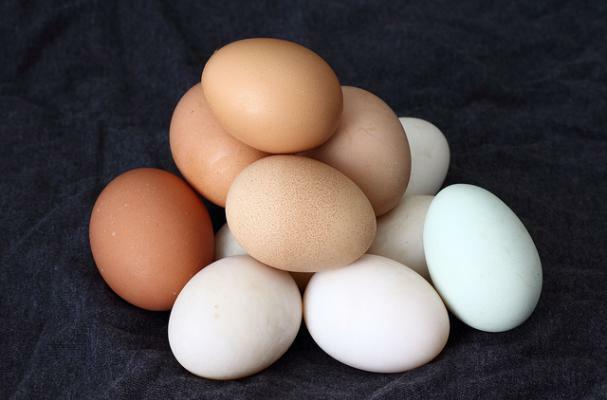 Egg in a Basket is a classic breakfast idea - cut a hole in a piece of thick toast, place in skillet, break egg into hole and cook until toast is toasted and egg is cooked to desired done-ness. What do you do without a nice thick piece of bread? Whether you're low carb, gluten free or just want a healthier breakfast alternative, this version is so simple and delicious, you'll never go back! 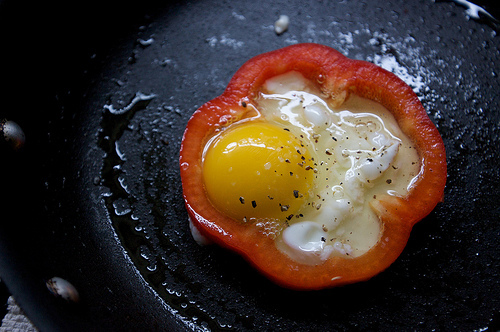 Instead of using toast, use a bell pepper ring to contain the egg! Flip halfway through and serve with grated parmesan cheese, fried sage, toasted capers, goat's cheese, salsa - you name it, it's delicious! From ShutterBean's photo-tutorial for this awesome recipe!